ServiceMaster has a long tradition of not only providing outstanding service for our clients, but also for the communities that we serve. 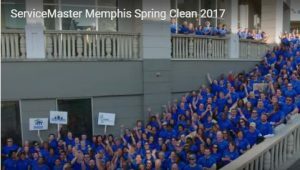 The latest example of ServiceMaster giving back to the local community is the inaugural “Spring Clean” event in downtown Memphis, TN. Approximately 500 ServiceMaster employees participated in several projects to help cleanup and beautify downtown Memphis in anticipation of the opening of ServiceMaster’s new downtown headquarters. ServiceMaster is relocating the corporate headquarters to downtown Memphis in the vacant Peabody Place Mall that is currently being renovated for the opening in June. Serving the community is something that ServiceMaster takes pride in and we are always happy to give back to the communities that support us. You can learn more about the Memphis Spring Clean in the following video. The spring is not just a great time to clean up our local communities, but also our homes. When your home is closed up during the winter, the dirt, dust, and debris that ends up on your carpet and furniture stays in your home and eventually affects the indoor air quality as well as your health. 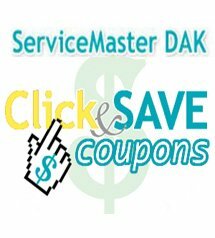 If you need help deep cleaning your home this spring, ServiceMaster DAK provides a range of professional residential cleaning services including carpet cleaning, upholstery cleaning, and deep house cleaning. Contact ServiceMaster DAK at (847) 564-0204 to learn more about our cleaning services or to schedule a cleaning appointment.